The pulmonary route presents an attractive delivery pathway for topical treatment of lung diseases. While significant progress has been achieved in understanding the physical underpinnings of aerosol deposition in the lungs, our ability to target or confine the deposition of inhalation aerosols to specific lung regions remains meagre. 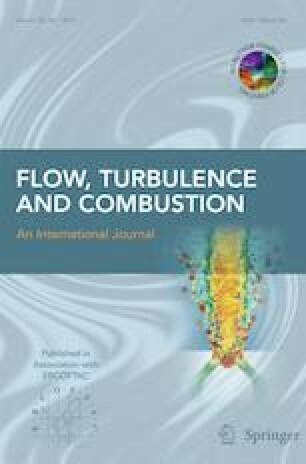 Here, we present a novel inhalation proof-of-concept in silico for regional targeting in the upper airways, quantitatively supported by computational fluid dynamics (CFD) simulations of inhaled micron-sized particles (i.e. 1-10 μm) using an intubated, anatomically-realistic, multi-generation airway tree model. Our targeting strategy relies on selecting the particle release time, whereby a short-pulsed bolus of aerosols is injected into the airways and the inhaled volume of clean air behind the bolus is tracked to reach a desired inhalation depth (i.e. airway generations). A breath hold maneuver then follows to facilitate deposition, via sedimentation, before exhalation resumes and remaining airborne particles are expelled. Our numerical findings showcase how particles in the range 5-10 μm combined with such inhalation methodology are best suited to deposit in the upper airways, with deposition fractions between 0.68 and unity. In contrast, smaller (< 2 μm) particles are less than optimal due to their slow sedimentation rates. We illustrate further how modulating the volume inhaled behind the pulsed bolus, prior to breath hold, may be leveraged to vary the targeted airway sites. We discuss the feasibility of the proposed inhalation framework and how it may help pave the way for specialized topical lung treatments. The online version of this article ( https://doi.org/10.1007/s10494-018-9927-1) contains supplementary material, which is available to authorized users. The authors would like to thank Dr. Rami Fishler for fruitful discussions. This work was supported by the European Research Council (ERC) under the European Union’s Horizon 2020 research and innovation program (grant agreement No. 677772), and the Kamin Program from the Israel Innovation Authority (grant agreement No. 60509). The authors acknowledge COST Action MP1404 SimInhale ‘Simulation and pharmaceutical technologies for advanced patient-tailored inhaled medicines’, supported by the European Cooperation in Science and Technology (COST).